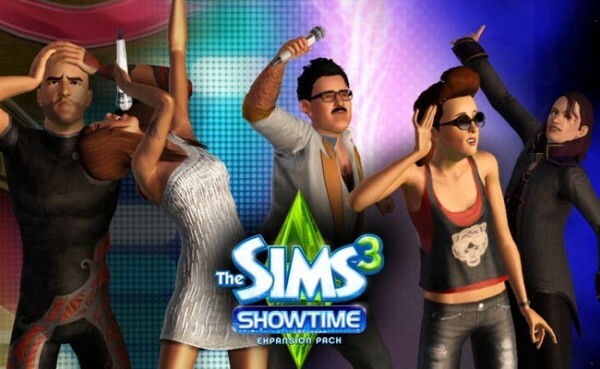 The Sims 3: Showtime is the sixth expansion pack for The Sims 3. A Limited Collector’s Edition includes exclusive content in The Sims 3: Showtime as a stage and two suits, along with a poster based on the U.S. pop singer Katy Perry. 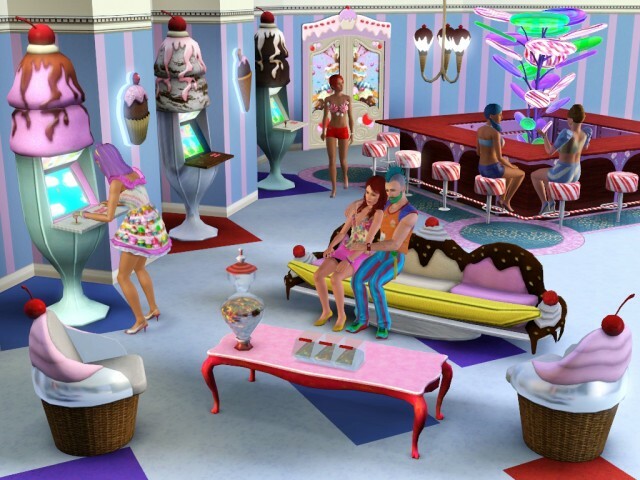 The Sims 3: Showtime was released on March 6, 2012 for Mac and PC. Please locate the downloaded folder or flt file you are referring to. Now play… If you like the game support the developers. Want some confirmation… Did you copy the files on the Fairlight folder to your Sims 3 folder? i copied the fairlight folder in the flt file to the sims 3 folder in bin ..but now the game is tellin me it cant verify that the disc is valid wen im in the game.. what is supposed to be in the fairlight folder? well once it finished downloading off utorrents i clicked open containing folder.. then there is an flt iso file and a fairlight file ..i copied the whole of the fairlight file and pasted it into the sims3 bin folder..
You need to open the .ISO file and find the Fairlight folder and copy its content to your the sims 3 bin. after that try to play…. Copy the content from the Fairlight folder to the folder of your “The Sims 3” installation, overwrite when prompted. Just use a different game disc? Or is it like Medieval where you need the disc to play? Hi it loads the game but when it gets to the main menu it says something about me not having a valid copy of the showtime disc. Help plz? Ok, I am having so many problems doing this. I download/installed all the files correctly, followed some of the comments to figure else what to do. I downloaded/installed Showtime and Late Night. First time I loaded everything worked UNTIL I went to create a sim and it crashed. Second time It crashed after the loading screen was complete. I restores my Sims 3 directory to a fresh copy and I have a bought version of The Sims 3 base game and my game/launcher is up to date. I have the .iso folders for Late Night and Showtime on my desktop. Can you please tell me exactly which file/folder and to put where in my Sims 3 directory. Have you tried playing the game in lowest settings or in window mode? does any of the expansion packs that i downloaded on this web site require a disc with a same expansion pack? Youtube is helpful to figure out how to install and get it ready to play! I used it, very helpful visual and written directions to complete all the steps. Hi guys. I would really appreciate it if any of you could tell me if this download caused any troubles with his/her computer. I really want to download this but my computer was fixed TODAY and I’m pretty worried….. Thanks for your time, Barbara R.
KamYo, did you already try this 9GV5-FBRT-TJN9-FR6M-RS6C? would appreciate the help im regards to what I said b4 , it all boots up and after the main loading screen it closes and says ‘this program is not working correctly’ some crap like that and it does it everytime and ive put the appropriate files into the game/bin in the sims 3 folder. coz it didn’t, any other advice would be a great help. have you click the “CLICK HERE TO DOWNLOAD THE FIX! (PC) *WORKING* ” on the link we gave you? or maybe you have click an advertisement? admin is this expansion pack the limited edition ? I have a purchased copy of The Sims 3, Late night and high end lot stuff, when adding your expansions, will I still have to overwrite the base game files? I did not do this for World adventures and it works fine, however I did it for seasons and the game has a lot of glitches now :( Please help. If you already installed the most recent expansion you will not need to copy the files (cra/cks). for example if you already installed The Sims 3: Island Paradise then you installed The Sims 3: World Adventures you do not need to copy the files again. just use Island Paradise crac/k and you are all set. I think there’s a problem with the seasons expansion pack and alex provided The Sims 3: Seasons Crackfix you can use that and replace it. Note: not all expansion packs are going to work you will still need to read nfo of txt files and comments for more information on how to install the game. Hope this helps. please read comments on the expansion pack you want to install there are lots of info on how to install them… happy gaming! Hi, I cannot even download this expansion pack. I click in the but it can’t load. Do you have another link? Hai, im so happy my SIM3 SHOWTIME is work..
but the problem is why my character does not appear in the sim showtime ? Have you restarted the game after you installed it? Have you tested other EP, is it working on your character? We didnt encounter this on our testing can you please state more about it? Hi, downloading the game was fine, but when I get onto the game and when the loading screen finishes it says “Unable to Authenticate the Sims 3 Showtime, please contact services” or something on the lines of that, what do I do? 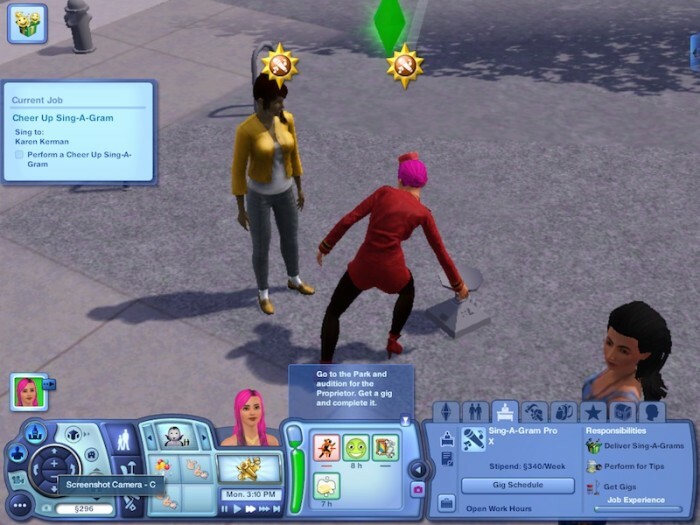 There have been changes (updates) on this game so we have provided a page on how to make the sims 3 and all expansion packs work to present… please go here “https://freepcgamesden.com/the-sims-3-fix” on this page and read carefully to make the game work… Hope this helps… happy gaming! Hello, I just want to bring this to attention, the link for this file leads me to Adfly which is not exactly how I usually get my downloads through this site, and the link is setting off my Norton Anti virus program detecting Malware attacks. Can someone kindly tell me if this is how we’re suppose to get this particular download? This is the requests for the site owner to link adfly but do not worry just skip adfly and go to the site.